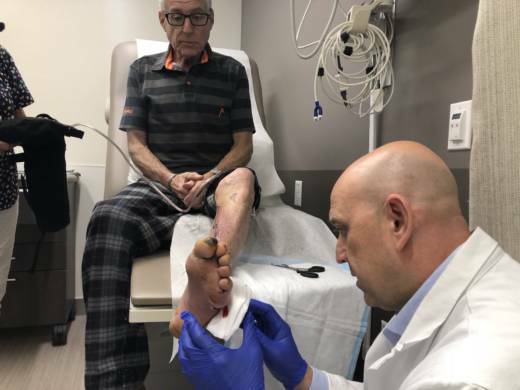 Two months after that diagnosis, he’s on an exam table at the Center for Limb Preservation at UCSF, his leg still whole, the threat of gangrene and amputation gone and his mood a lot less bleak and fearful. “Yeah, it turns out I didn’t need that,” he said. CALmatters.org is a nonprofit, nonpartisan media venture explaining California policies and politics. This is the third article in a series on state efforts to foster healthy living as a way to reduce chronic illness.